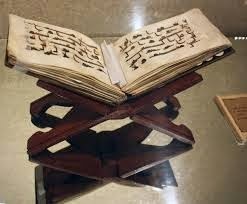 Home Sunnas of Prophet Did Mohamed (pbuh) Make Up Quran? Posted by The Way to Akhirah , 04:24:00 Be the first to comment! NO! Again, they didn't need to write it down to preserve it, although they did. They all completely memorized it from what they heard. * "This is the Book (Qur'an) wherein there is no doubt"*"Have not the unbelievers considered that if it were from other than Allah, it would contain many contradictions?"